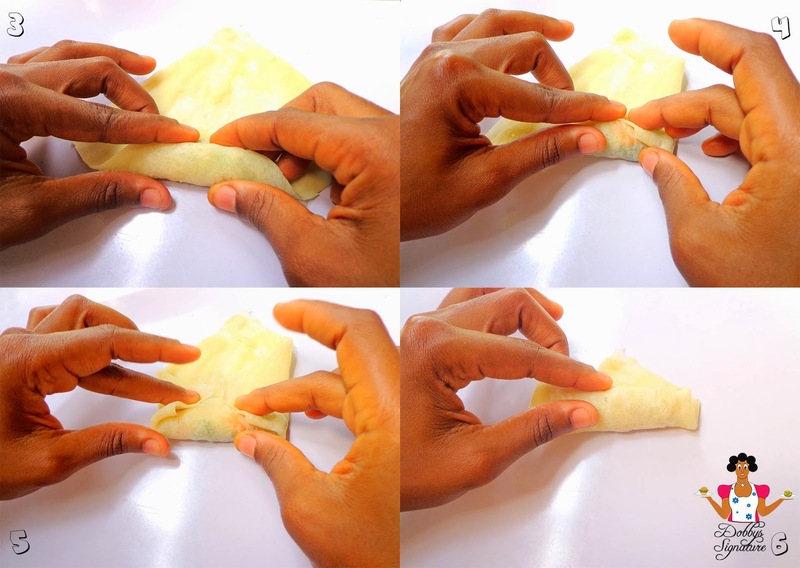 Spring roll is a light, Simple yet elegant snack which could be placed in the Nigerian Small chops Category. For the filling, you could use just about anything such as vegetables, chicken, beef, noodles e.t.c. If you are making vegetable spring rolls, you could lightly steam the vegetables to be filled into the pastry. For me, i prefer slicing my vegetables very thinly and filling it into the spring roll pastry before frying. This is because i like my vegetables fresh and not soggy as is the case with most pre-packed springrolls. Here’s a step by step guide on how to make springrolls at home with Homemade spring roll wrap. Step 1: Scrape the back of the carrot, rinse and grate thinly. Wash the cabbage and dice thinly. Wash the spring onions and dice thinly. Wash the green runner beans and dice thinly – Set aside. Step 2: To assemble, take one spring roll pastry (you could also use the pastry like that without cutting it into squares), place a very small amount of each vegetable on it. Placing a small amount of vegetable helps prevent the spring roll wrap from breaking. Step 3: Roll it up gently making sure it’s firm and not loose. This is to prevent it from loosening in the hot oil. 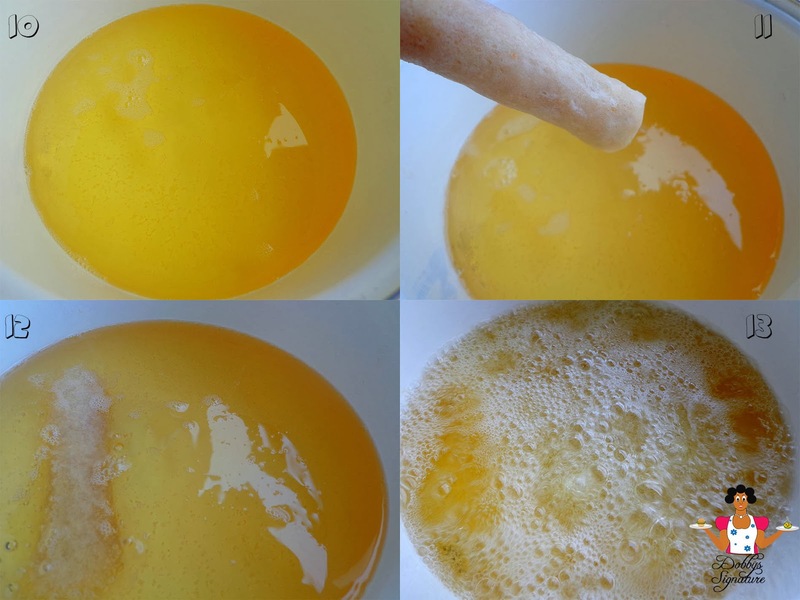 Step 4: Once you get to the end of the spring roll pastry, seal up the contents permanently by rubbing a mixture of flour and water liquid at the edge. you could also dip your hand in water and rub at the edge for the same purpose. Step 5: Deep fry the Spring rolls in Pre-heated oil till golden brown. Step 6: Drain on a wire sieve or paper towel….Serve!